Look out for these three in 2015. Envirosafe Termite and Pest control guide to Charlotte North Carolina’s nuisance pests. 2014 was the year of the Bed Bug and also we saw a resurgence of fleas in record number. A wet spring and mild fall also led to a record number of mosquito calls at Envirosafe Termite and Pest. We anticipate 2015 to be another record year for these pests and there are three more all homeowners should be aware of. Sometime referred to as the Black Rat, Roof Rats are known to inhabit coastal regions in the United States. 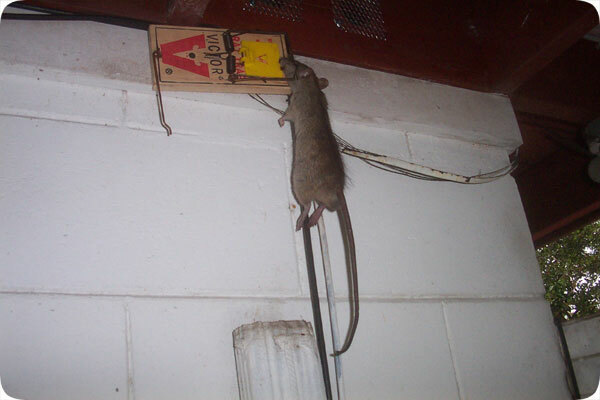 In recent years though, the Roof Rat has crept its Recently, however, this pest has crept into the piedmont of North Carolina and has established itself here and even as far west as Asheville. These Rats are inherently creepy because they love to climb and seek out aerial nests in places like attics, trees, etc. where they cause major damage to attics, electrical systems and heating and air units. These horror inducing rats are also known for slipping into second story bedrooms via open windows. The second on our list of pests is a small package of terror known as The Brown Recluse Spider. The Brown Recluse is a highly venomous spider that, much unlike a Black Widow, will aggressively inflict bites on victims that won’t heal. Recluse was an apt name for years do to the rarity in which this spider occured. Now, however, Brown Recluse bites have become common in Charlotte North Carolina. Presumably due to a thriving economy here and midwesterners who move here and bring Brown Recluses with them. Seek immediate medical attention if you think you or a family member have experienced a bite from a Brown Recluse. Brown Recluse Spiders are increasing in number in Charlotte NC. They leave flesh wounds that will not heal. Doctors report increase of brown recluse spider bites – FOX Carolina 21.